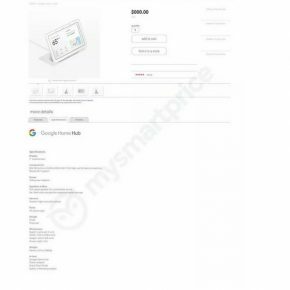 Back in August, we first got reports about Google preparing an Assistant-powered smart display similar to the Lenovo Smart Display. 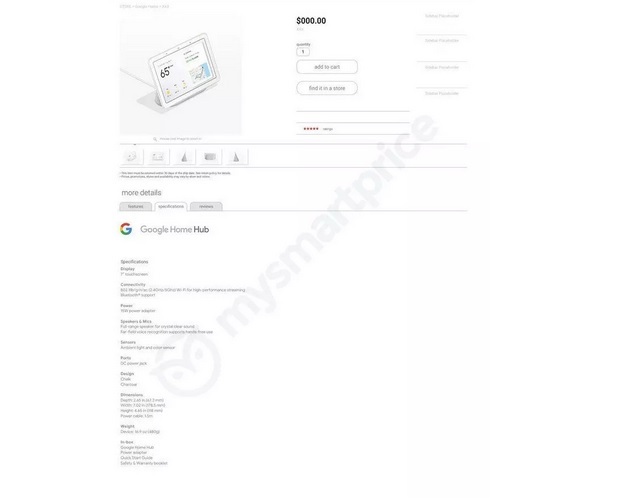 And now we have our first look at Google’s upcoming smart display that will reportedly be called the Google Home Hub. 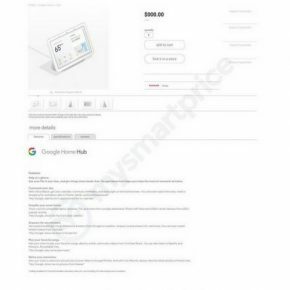 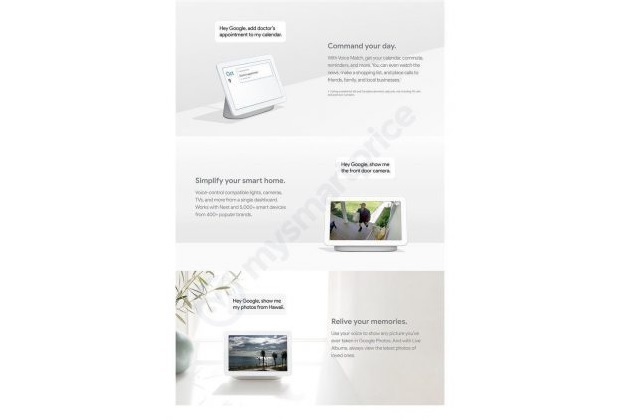 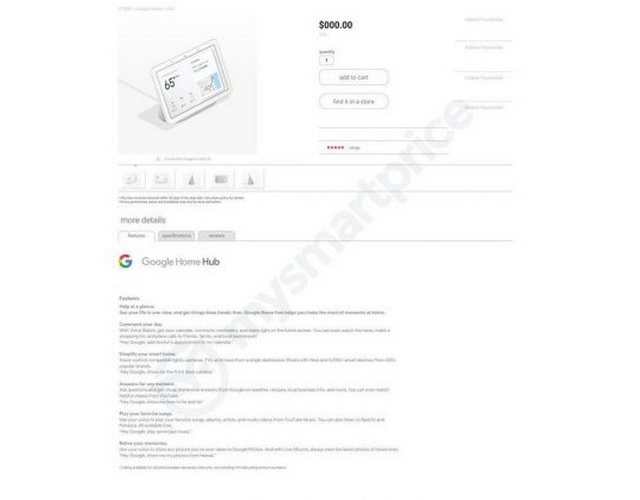 MySmartPrice has obtained images of the Google Home Hub as well as its complete specifications and related marketing material which contains details about the upcoming device’s features. 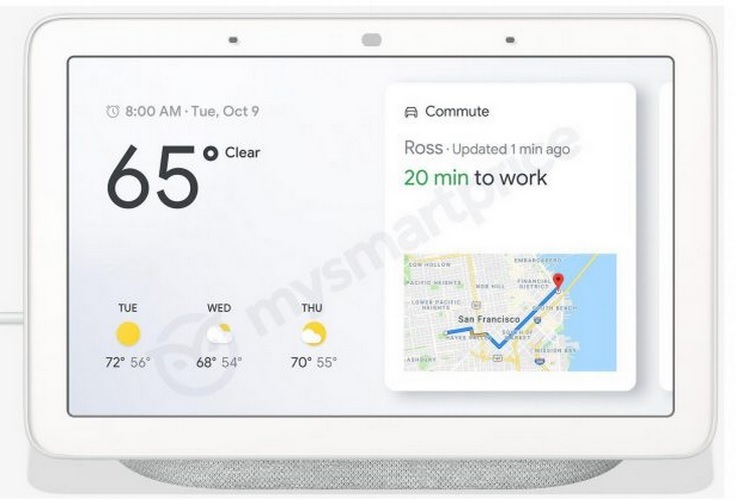 The Google Home Hub will feature a full-range speaker and a mic with far-field voice recognition support, and a 7-inch screen to show you the calendar, weather information, camera feed, navigation information and of course videos and also for video calling. 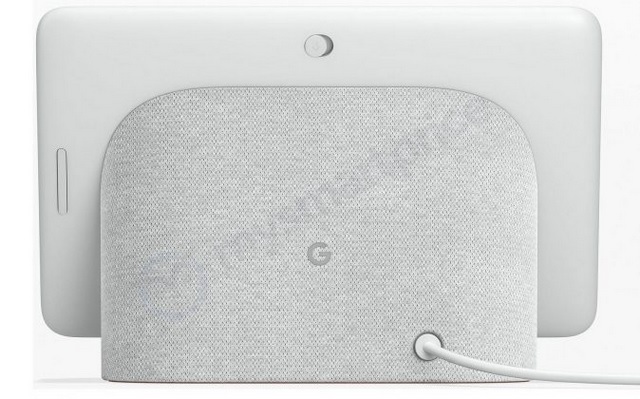 In the connectivity department, the device will have support for 2.4GHz and 5GHz WiFi for ‘high-performance streaming’, and will also have an ambient light and color sensor. 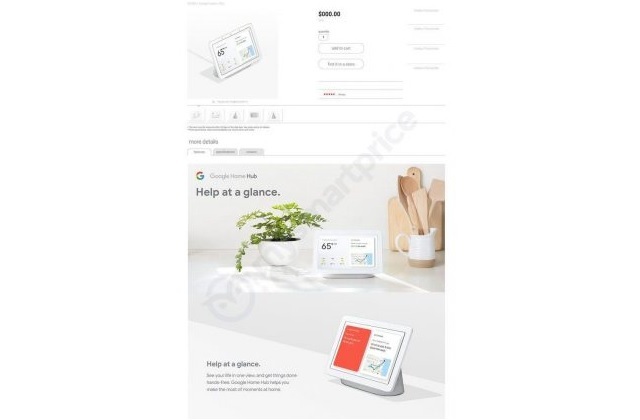 Weighing in at 480 grams, the Google Home Hub’s retail packaging will include a 15W power adapter and it will be available in chalk white and charcoal black color options. 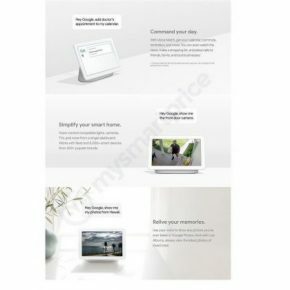 When it comes to features, the Google Home Hub will let users connect sync with Nest and other smart security cameras, allowing users to watch the camera’s feed on the smart display. 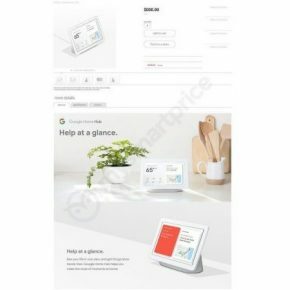 The marketing material suggests that the Google Home Hub will connect with more than 5,000 smart home devices from over 400 brands, and as per the report, it could be announced on October 9, at Google’s upcoming hardware event.